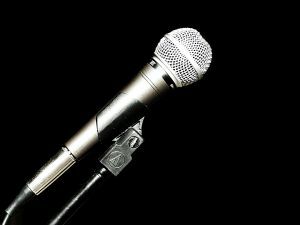 A new open-mic will be launched on Thursday, 18th April and will take place every Thursday at The Crazy Coqs from 10.30 pm until midnight. Harold Sanditen, jazz–‐cabaret singer and veteran theatre producer, will host the weekly event, which will include regular musicians Michael Roulston on piano and Jonty Fisher on bass, along with occasional replacement musicians who also straddle the worlds between jazz and cabaret. I am so pleased because this is aimed at both the jazz and theatrical communities, and Sanditen plans to create a fun and exciting environment where both groups can perform, thus bringing the two musical worlds closer together. The event will welcome, not just singers, but also composers and musicians who want to showcase their talent. Sanditen wants to attract not only up and coming performers who want to be seen/heard, but established singers who want to do a turn. This is a purely musical open mic, and is not for stand–‐up comedy. The emphasis of the evening will be on having fun, so long, slit–‐your–‐wrist ballads will be discouraged. The evening will provide a nurturing environment for musicians and singers to test new work in front of an audience, as well as a great evening of entertainment for audiences. The doors will open at 10 pm, with the show starting promptly at 10.30 pm. Performers who’d like to participate will need to sign up on the night directly with Harold Sanditen. Performers, be they singers or musicians, will need to bring charts (music) for both piano and bass, (preferably in the right key!) These can be sheet music or lead sheets. Each performer will be able to tell the pianist and bass player the feel of the song just prior to performing it. Some singers might prefer to use their own accompanist, which is also welcomed. Composers who want to showcase new songs and use the bass player, should bring bass charts. Tickets for the open mic are only £5 and can be booked online in advance. As seating is quite limited, this is highly suggested to assure a spot. This entry was posted in News and tagged cabaret, fiona jane weston, Harold Sanditen, London cabaret, open mic, The Crazy coqs. Bookmark the permalink. Some news about Harold – he is to stage his new show “Full Circle” at St. James Studio Novemeber 23rd. I was able to see him in a tryout performance at The Pheasantry a few months ago and it’s a lot of fun with super material. Michael Roulston is great in it, too. Worth seeing.